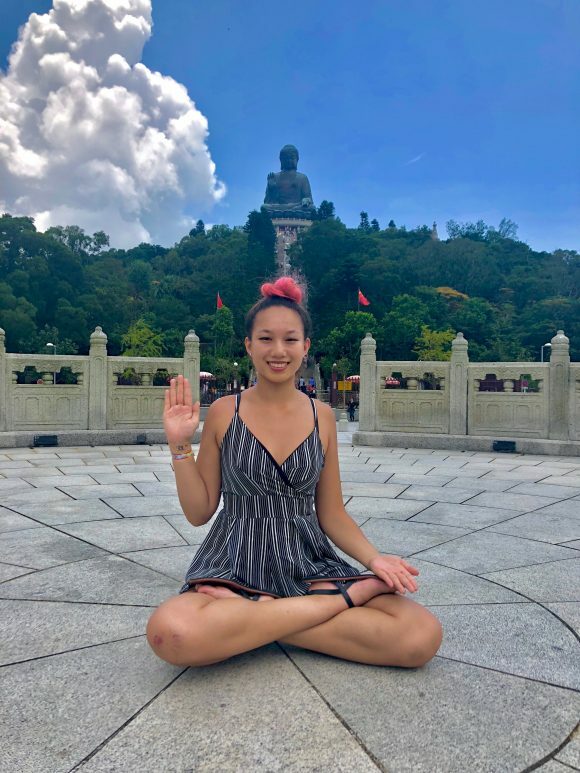 Clio Brady ’20 is a sociology major with a music minor who studied abroad at The Chinese University Hong Kong in Fall 2018. 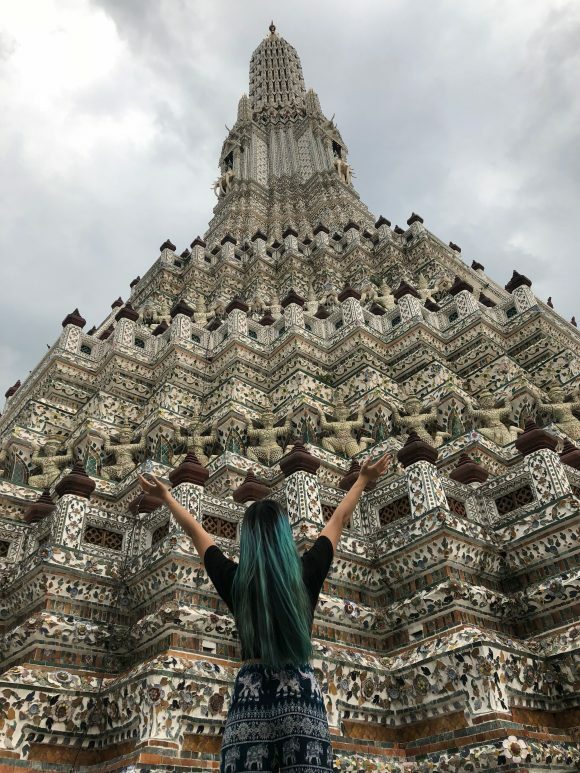 She shares her study abroad story, how it changed her, tips for social media use while abroad and finally info on applying for study abroad scholarships. Hi! My name is Clio Brady. I am a transnational Asian-American adoptee. 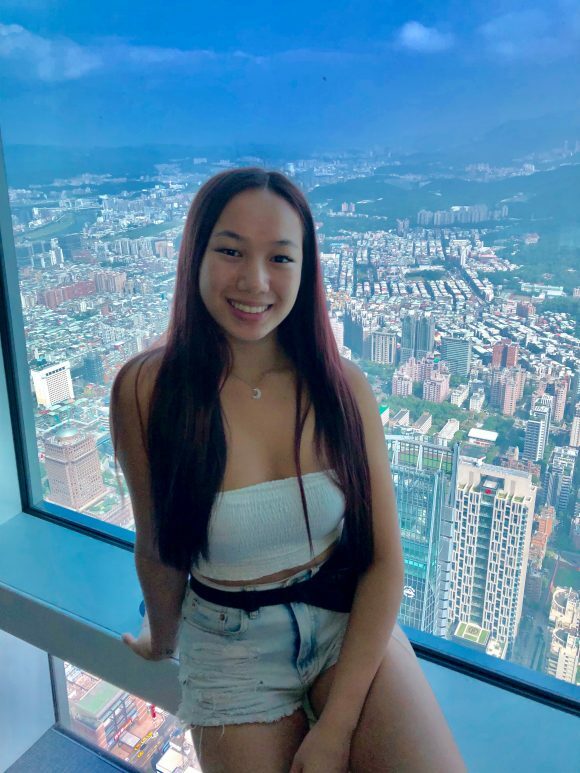 I was born in China and adopted when I was only one year old by a Caucasian family from the U.S. I’ve lived in America for basically my whole life and hadn’t been back to China until I studied abroad. I chose Hong Kong for a variety of reasons. I wanted to practice my Mandarin that I’d been learning for a few years and revisit my birth country, China. Side note: I realized later that in Hong Kong, Cantonese is more widely spoken. While abroad I did get to travel to seven other countries and also China. Going back to my roots is a whole other complicated story for another time about abandonment, governmental policies and Chinese culture. Overall though, I did have a fantastic trip back to my roots! Reflecting on my study abroad experience I can say I’ve changed a lot. Everybody says studying abroad changes you. I didn’t realize how true this actually was until I also studied abroad. After studying abroad I am more independent, confident, passionate about life, and addicted to traveling. Once I left my own bubble I’d been living in, America, I found myself out of my comfort zone. 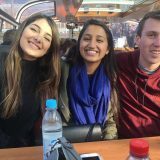 Studying abroad gives you such a huge opportunity to make different memories, meet new friends, try new foods, go on amazing and weird adventures etc. I fell in love with different cultures and people. I gained a new appreciation for this big, wonderful world we all live in. I am thankful for my opportunities, privilege, friends, and family. I am less judgmental, less scared about the world, and less worried about what others think. I am more determined, complete and focused on the important things in life. My world opened up. 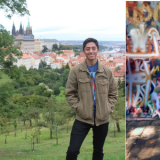 Studying abroad is a self-discovery journey. You learn so much about yourself and others through traveling and being open to new experiences. I learned from my mistakes: missing a few flights, misunderstanding academic guidelines for midterms, losing money, getting lost A LOT etc. I did grow up from those experiences. I learned from a different perspective that was eye opening and surprising. I left my home culture and embraced a whole new culture and I now see the world more holistically. 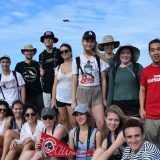 I now consider myself a “global citizen” because even though I only visited Asia, I experienced more of the world than I ever have and met people from all over the world and learned/lived in different cultures. It’s hard to stay in touch while abroad. This can be because of several things: time difference, you just want to be present, bad service/WiFi etc. There’s a balance you need to find while abroad. It all depends on what your goals are. Do you want to really embrace/live the host culture? Do you just want to do tourist things and take pictures? Learn the language? This balance has to be healthy. I recommend staying in touch with your closest friends and family. Check in every few days, call/ text/ FaceTime/email/WhatsApp/WeChat. Share your location with your parents, siblings, closest friends and current roommate(s). This will help you feel secure/safe and help to keep you safe also. I personally stopped using social media to check up on everybody else, but only for the sole purpose of sharing my content/stories and updating my friends and family. It was important for me to stay present and not to make myself homesick by watching my friends all at home doing fun things, living their regular lives etc. I unfortunately disconnected/cut ties from almost everybody in my life back home. DON’T DO THIS. It’s best to keep important relationships active while abroad because if you don’t, it will be much harder to assimilate back into your home culture. 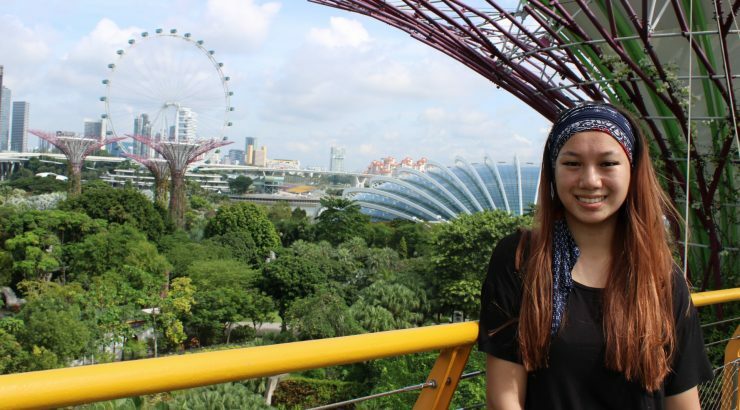 Yes, culture shock and reverse culture shock are a thing. Read up on both so that you are aware of the signs and check in with yourself a lot. You can also check in with your international office staff about ways you can work through culture shock and reverse culture shock. Know that if you are experiencing them, that means you are challenging yourself to adapt to a new culture and that it has had a profound experience on you! With time, you will adjust to a new culture and re-adjust to life back home. Lasting reflections: Use social media in moderation and for you. Make time to build and keep important relationships. Live your own life for you and not or anybody else. Go outdoors. Travel. See the world. There’s so much more out in the world than your phone. Every picture is a story. Explore that story, don’t just take pictures. Live life presently and actively. Enjoy this wonderful planet. I applied for the Freeman-ASIA scholarship and received financial aid for my semester abroad. Here are my tips for students applying to this scholarship and scholarships in general! Read about the scholarship in depth and treat it like you would a job interview. Write the application for that SPECIFIC scholarship! On the essays/questions: answer personally! Talk about your story, your passions, what makes you unique/special/different? Be specific, thorough, clear and concise. Apply to lots of scholarships. There isn’t a limit on how much funding you can receive. You miss 100% of the shots you don’t take. Take that leap and apply for that scholarship. People want to award you money. They want to help you. Ask for it! 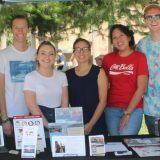 Spring 2019 Study Abroad Fair - How will you get your global experience?